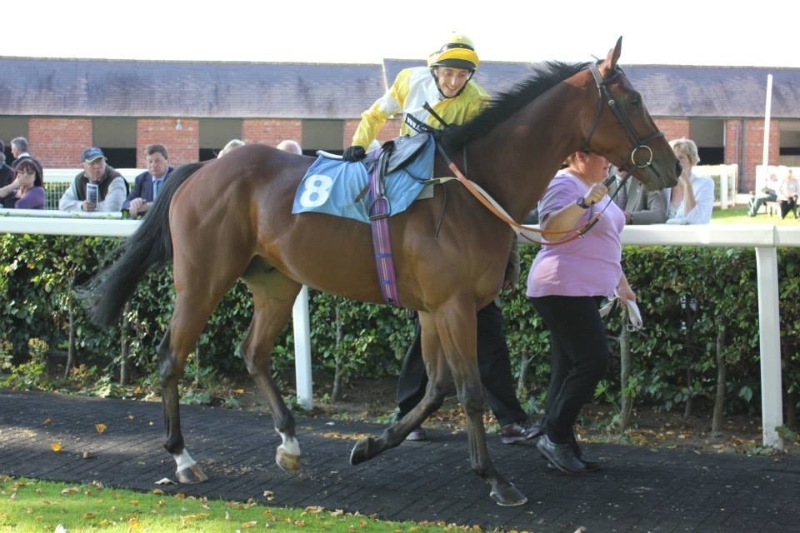 Angels Calling ran at Leicester on Monday in the 7 furlong seller and Joey Haynes rode. Joey settled Angles in a prominent position and for a small field they were strung out across the course until Angels quickened and went into the led 2 furlongs from home. At the furlong pole Angel’s was in front but was drifting to her right but was well clear of the runners on her side of the track but the dangers appeared on the other side of the course. Inside the final furlong with nothing to race against she appeared to get a little tired whilst the other two horses on the near side gradually overtook her. 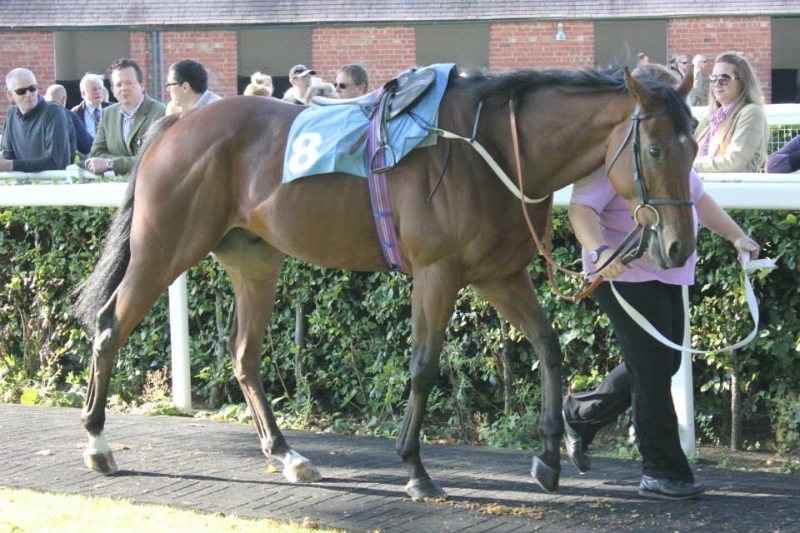 Angels to her credit kept on and was only beaten by just over a length having raced on her own for a long way. 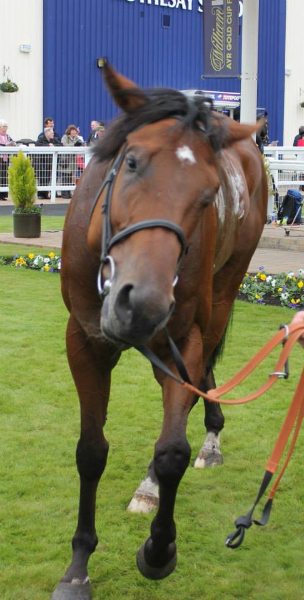 Mr Mo Jo ran at Redcar in the 5 furlong 0-70 handicap. Jason Hart rode and took three pounds off his back. Unfortunately there had been rain and the ground had soft patches and was starting to cut up by the time of Mr Mo Jo’s race. Mr Mo Jo slightly hesitated at the start and Jason had to rush him up to get to the front. Mo Jo was up the front on his side whilst there were a few horses going at a good pace on the other side of the track. Mr Mo Jo remained in the front rank and at around the two furlong from home maker Mr Mo Jo came under some pressure but responded. He still looked if he was in front inside the final furlong when he was pressured on both sides. He was overtaken but kept on responding to pressure and stayed on all the way to the line, fishing sixth but only beaten 2 lengths. 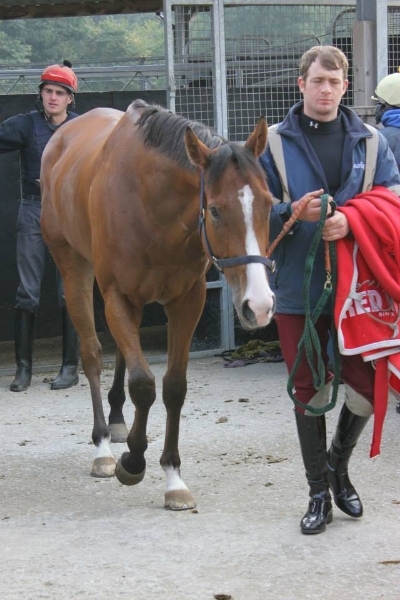 Unsaddling Jason said Mr Mo Jo had to work harder on the softening ground and that is why he got tired inside the final furlong and back on quicker ground thought he would go very close to winning. 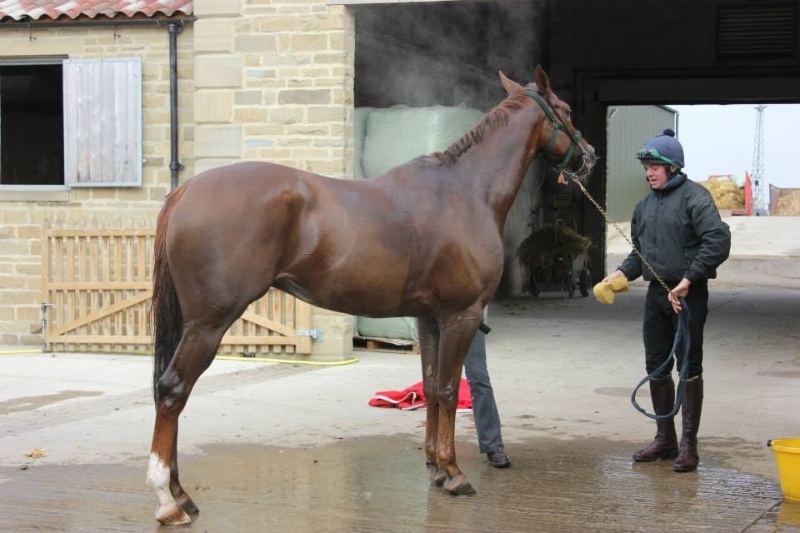 Fast Shot ran at Ripon on Saturday in the 6 furlong 0-105 sprint handicap. Unfortunately the ground had dried up and was described as good. Duran Fentiman rode and from the stalls Fast Shot broke out well and Duran tucked him in midfield behind the early pace. He looked to be travelling nicely and around 2 furlongs from home Duran pulled Fast Shot out to the outside of the field to try and make a move. 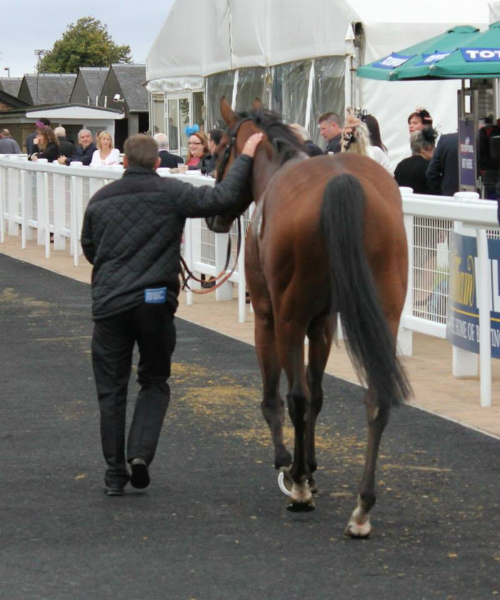 Duran made some slight headway but it was nothing like the acceleration he showed last week at Ayr and inside the final furlong the horse could never make any impression on the leaders and eventually finished 8th. Duran stated unsaddling the horse never picked up when he asked and was a little flat and was still probably feeling the effects of his hard race last week. 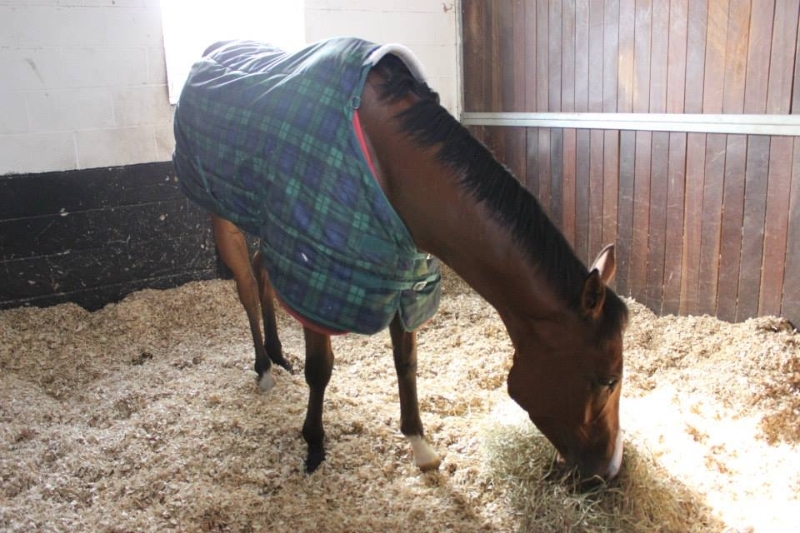 Ticking Katie went to Newmarket on Saturday for the 7 furlong nursery and Danny Tudhope rode. Having been raised 6 pounds from her second last time out it was always going to be a tough ask. Katie broke well from the stalls and Danny tucked her in behind the early pace setter. She kept this position until 2 furlongs from home when the race began in earnest. Katie moved to the quarters of the leader and Danny was getting maximum effort from her. A horse then appeared to her right and Katie dropped back slightly but she then inside the last 100 yards begun to run on again. The challengers drifted across her which didn’t help. Katie was forced to check and Danny had to stop riding and pull Katie as there was nowhere to go. Katie still finished 3rd beaten only ½L and a neck and you could well argue that with a clear run she would have got second place. 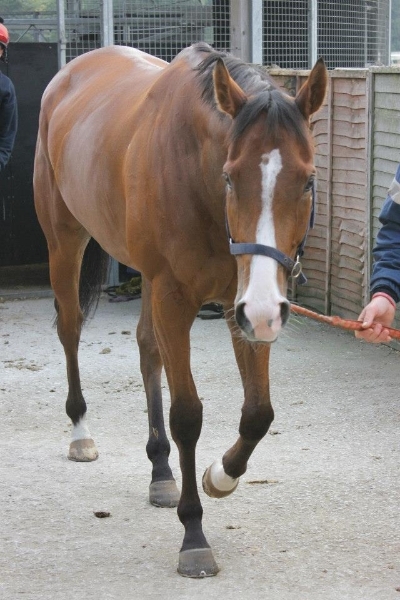 Another fine effort and another step forward from this loveable filly. 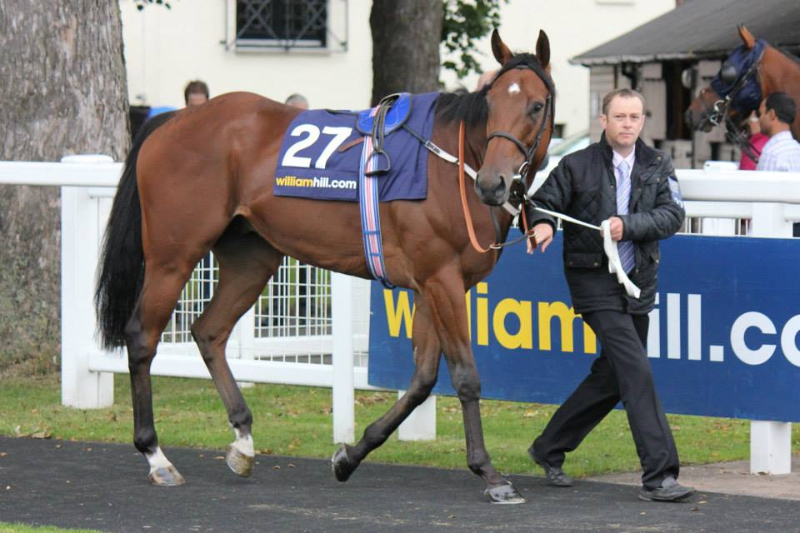 Mr Mo Jo ran at Musselburgh in the 5 furlong 0-70 handicap. Jason Hart rode and took three pounds off his back. 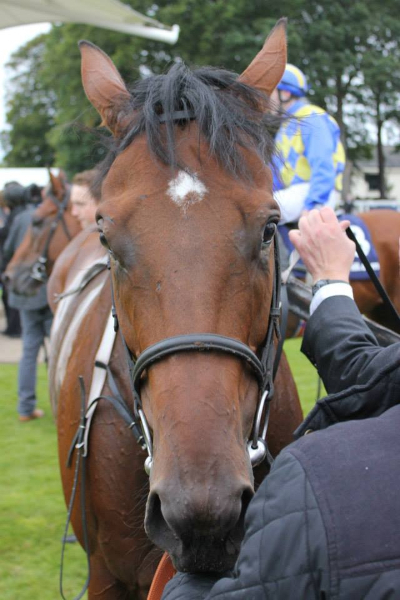 He wasn’t ideally drawn in stall 4 but after breaking smartly Mr Mo Jo was up the front from the off. At around the two furlong from home maker Mr Mo Jo came under some pressure but responded and appeared to beat off the other horses that he had been contesting the lead with. Inside the final furlong he was joined by two other horses on his outside and try as he might to fend them off he just came off worst in a driving finish to finish 3rd beaten a neck and ½ a length. It was a gallant effort. 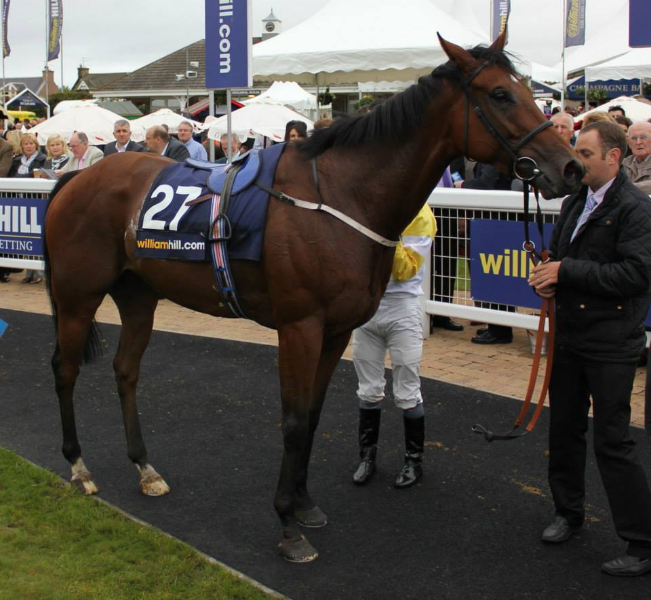 Burnhope ran at Ayr on Thursday in the 5 furlong sprint. He was drawn in stall 2 and this really proved to be a hindrance as the whole meeting the sprint races were dominated by horses drawn high. 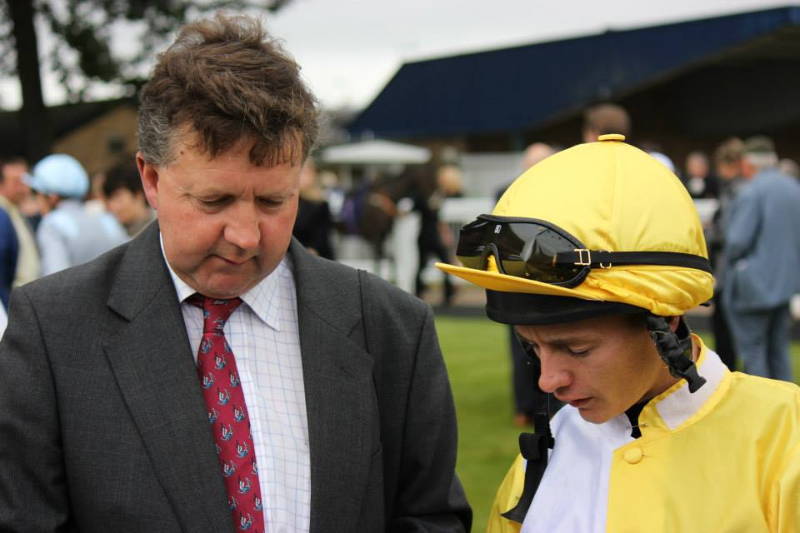 Burnhope had Graham Lee riding and he broke well from the stalls and led his group. Howe haver it was clear from a long way out that the stand side group were in front. Burnhope led his side until the final furlong when he was overtaken but to his credit he kept on really well and was only overtaken again near the line finishing 3rd in his group but overall he fished in midfield. A lot to take from the run but he was beaten by the draw basis. 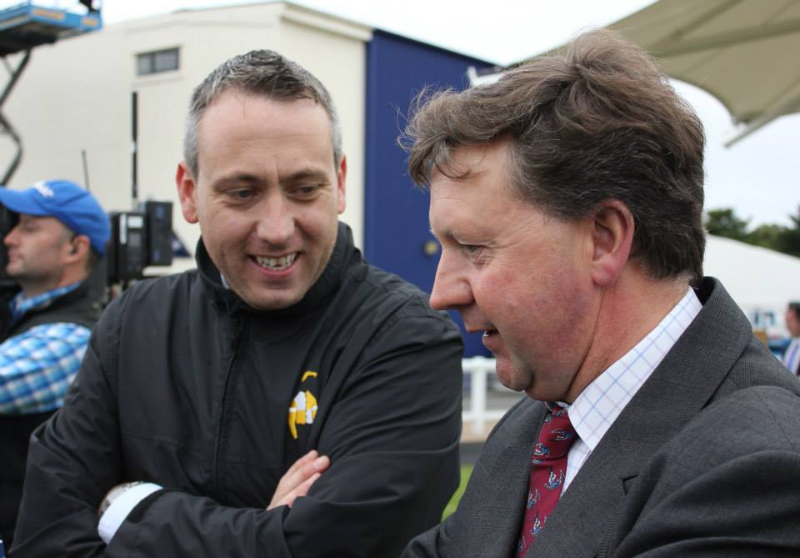 Ted’s Brother ran at Ayr on Thursday in the 7 furlong handicap and Philip Prince took off 5 pounds. Unfortunately Ted’s Brother missed the break and found himself at the rear of the field through the first part of the race. Ted’s Brother began to make steady headway as the field entered the home straight and at the 2 furlong from home marker looked to have every chance. But at the furlong pole a horse on his inside shot clear of the rest of the field and Ted’s Brother was hard at work and could not respond and stayed on to finish in 6th. 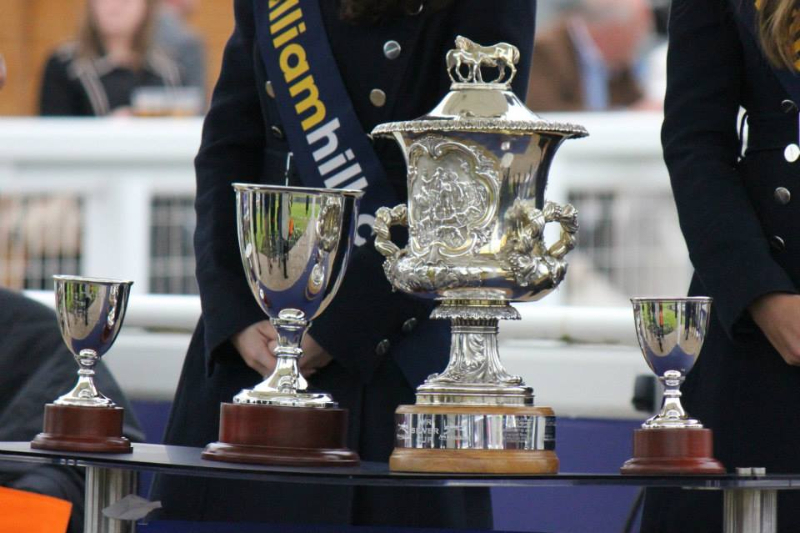 The winner was winning by 6 lengths and the second horse ran the following day and won the Bronze Cup. 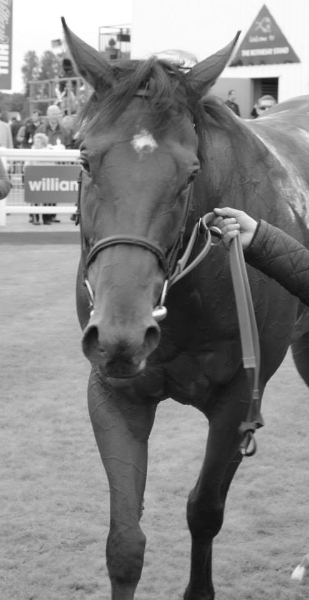 Eutropius finished our runners off on the first day of the Ayr festival running in the 7 furlong handicap and was ridden by Danny Tudhope. 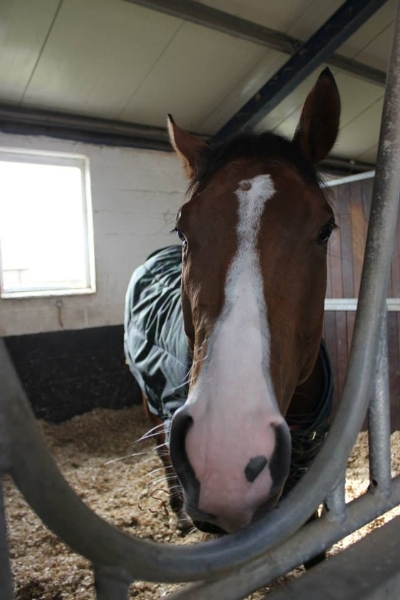 Drawn in the widest stall Danny took a pull from the horse and settled in at the rear of the field. The pace was a good one and turning for home Eutropius was making steady headway. Howe haver inside the final furlong a couple of horse that had raced prominently had a break on Eutropius. Try as he might Eutropius just couldn’t get to the leaders and the finishing line loomed. He flashed past in fourth place beaten a little over a length from a poor draw. A welcome return to form and with a better draw and possibly another furlong he could have gone close to winning. Gold Show ran at Newcastle on Friday afternoon in the 1 mile two furlong handicap with Kevin Stott taking seven pounds off. 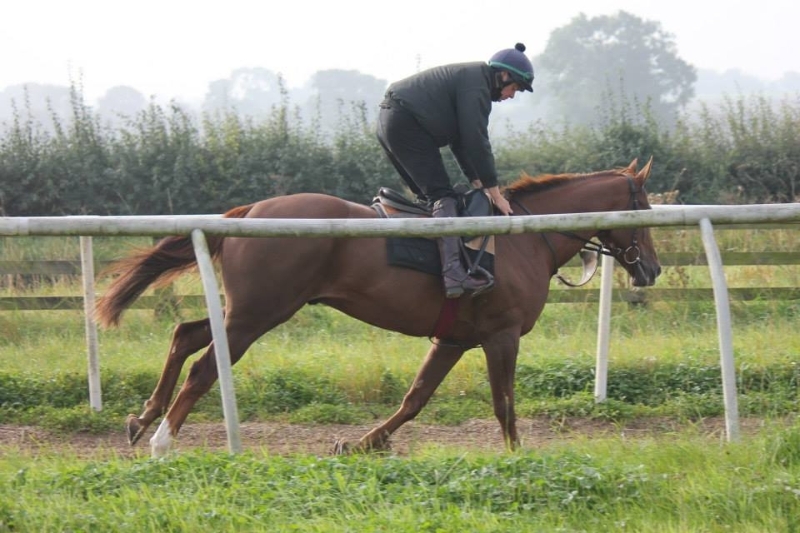 Conditions looked perfect with the going described as good/soft and hopes were high after her recent break. From the off Kevin settled Goldie in behind the early leaders who set off at a good pace. Howe haver approaching the home turn the leaders slowed the pace right down and the field grouped up together. Rounding the bend into the home turn the leaders quickened the pace and Kevin angled Goldie out for a run at the two furlong from home marker. Kevin asked Goldie to pick up but there was no real response from her and the leaders kept finding more. Goldie could never get a challenge in. Kevin kept Goldie going but she finished a most disappointing 6th. Unsaddling there didn’t appear to be any excuses and Edwin will keep an eye on her for the next few days to make sure everything is alright. Hopefully a bad day at the office and she can return next time in the form she showed at the beginning of the year. Ailsa Craig ran at Catterick in the one mile four furlong handicap and Kevin Stott rode but could only take off four pounds due to the light weight. From the stalls Ailsa was squeezed for room and dropped to the rear of the field. She remained there for much of the contest until the home straight when she started to pick up. Inside the final two furlongs Ailsa was beginning to motor and was finishing extremely well but the undulating track and the short home straight doesn’t play to her strengths and try as she might just couldn’t peg back the leaders and finished an unlucky in running 4th. 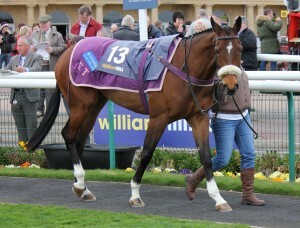 It was another good performance from this likeable mare. The best is saved to last. 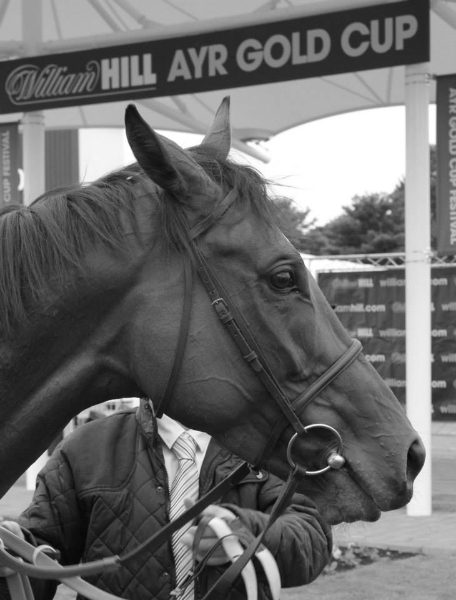 He didn’t win but what a magnificent performance from Fast Shot in the Silver Cup at Ayr. Drawn in stall 20 and the ground to his liking for the first time in ages everything looked in his favour. 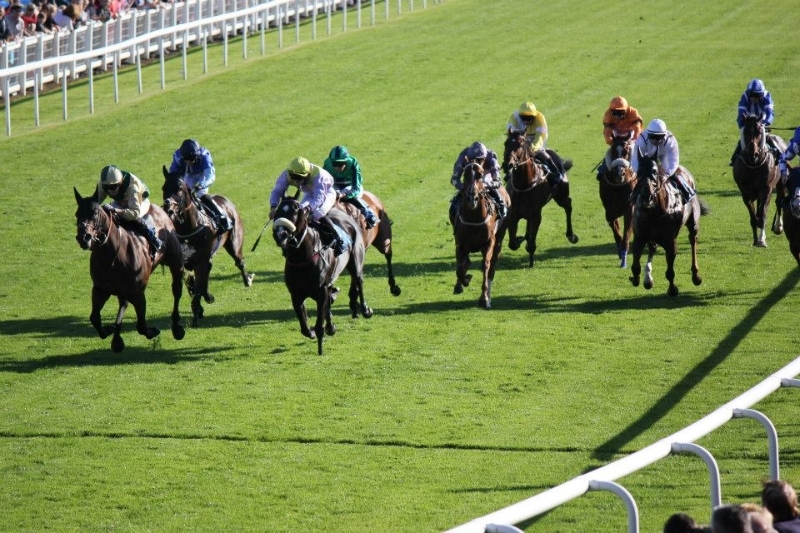 In this ultra competitive handicap with 27 runners you need luck and a brave horse. From the stalls David Allan back riding him again settled Fast Shot towards the rear end of the stand side group. Around two furlongs from home David started pushing as the dash for the line started. Here another horse drifted across Fast Shot and David had to stop riding and pull the horse back and start his run again. Inside the final furlong David was getting Fats Shot back rolling and the gaps appeared, Fast Shot was flying weaving past horses and inside the last 100 yards he was closing the leader who was right against the stand side rail. As they flashed past together Fast Shot had been beaten by a neck. 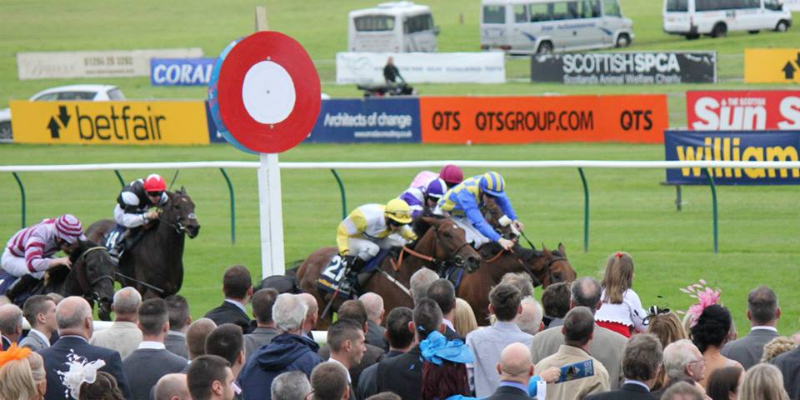 A fantastic effort from the horse picking up valuable prize money for his owners again, and finishing second in the Scottish Stewards Cup and now the Ayr Silver Cup. A great training performance and if only for the interference the result might have been different. 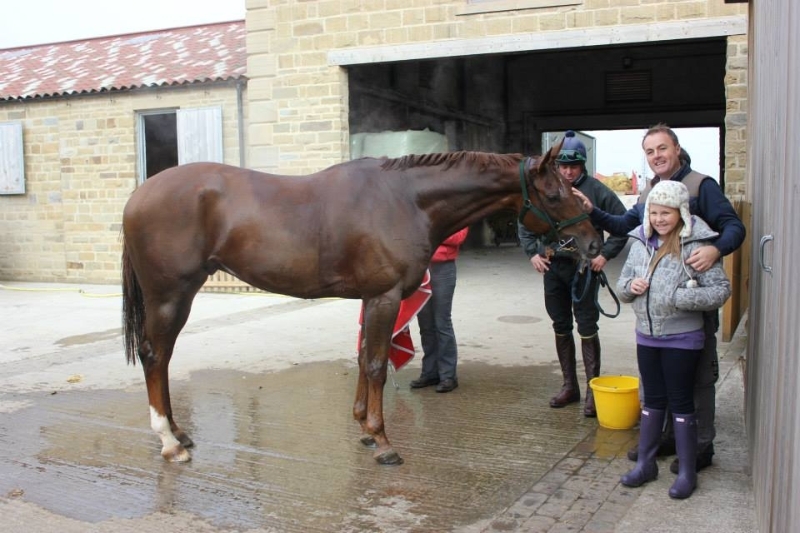 He is some horse and was extremely well bought by Niall and Simon when he was rated 51! 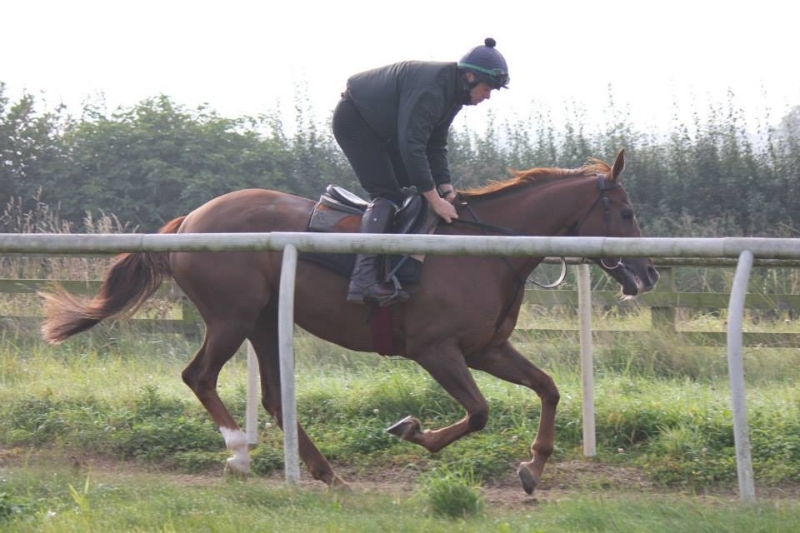 Ted’s Brother ran at Redcar on Tuesday in the 7 furlong apprentice handicap and Philip Prince took off 3 pounds. As Richard said the draw wasn’t the best but Ted’s ran another solid race, whether the draw made any difference between winning and coming 3rd is debatable but Ted as usual gave his running tracking the leaders until being produced 2 furlongs from home and then trying to close on the eventually winner all the way inside the final furlong and just getting caught on the line fro 2nd. Another good run from this ultra consistent horse. 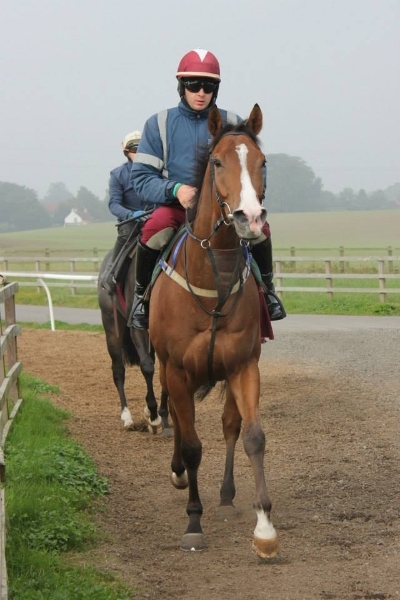 Piceno ran at Doncasteron Wednesday in the 1 mile 0-70 classified legends race for ex jockeys and Tony Culhane had the ride. Piceno was drawn against the nearside rail, and from the start Tony got Piceno on his side of the track, he was taking a keen hold and around the halfway marker Tony edged Piceno out and he made headway to join the leaders. 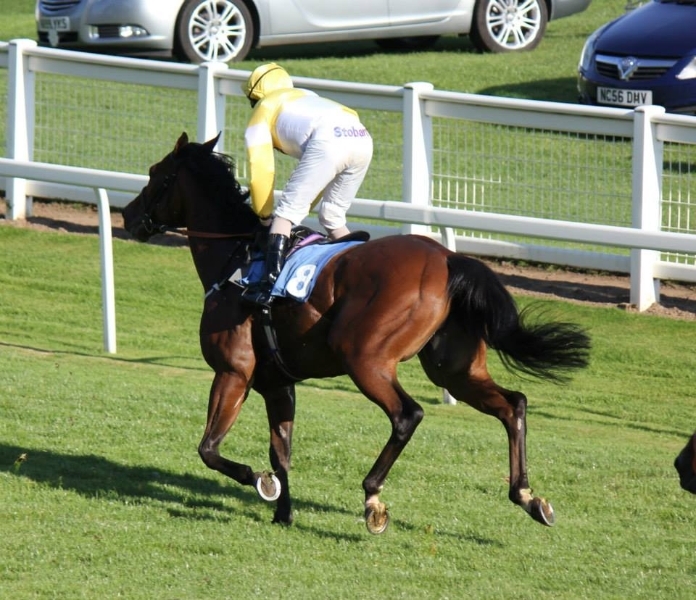 Piceno was in the front rank until inside the final 2 furlongs when he came under pressure and it was clear that other horses where travelling better. To his credit Piceno kept on with his jockey looking a little tired in the saddle. 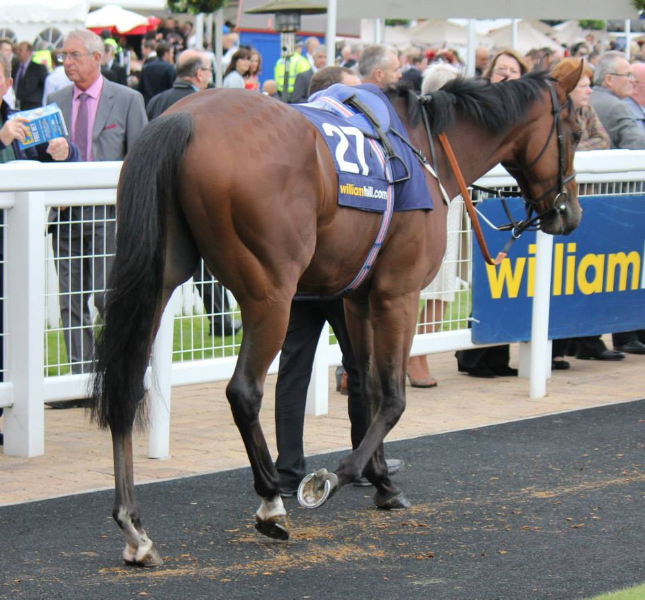 Piceno finished 7th on a track without his favoured bend. 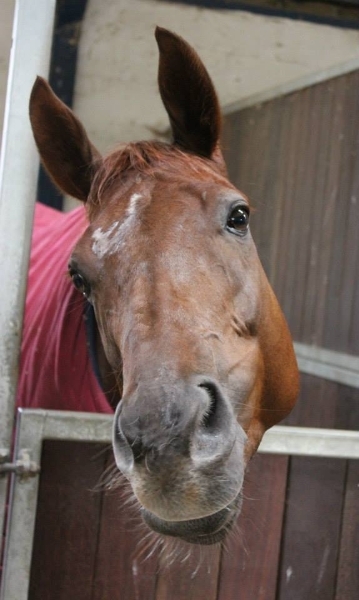 Burnhope was due to run in the last race but knocked himself in his box on the morning of the race, although nothing serious and Scott decided to withdraw him saving him for another day. 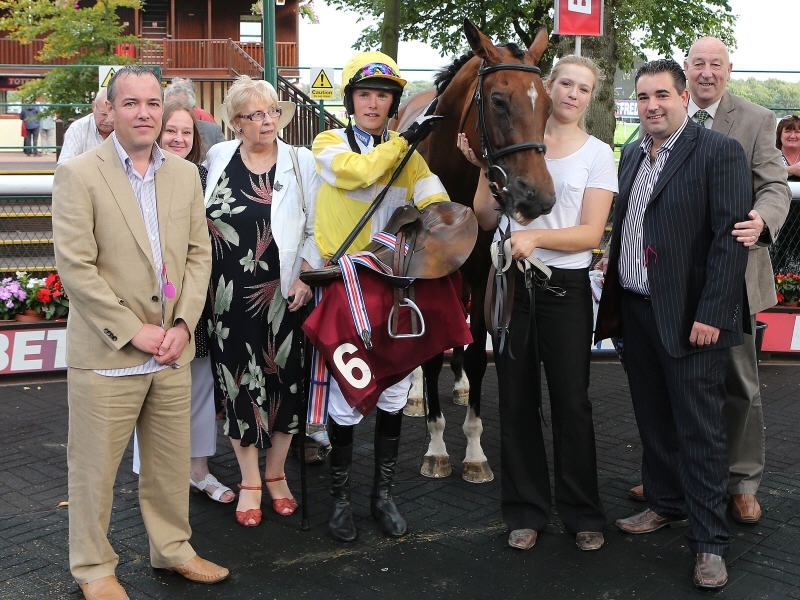 Blue Maisey ran at Carlisle on Wednesday in the one mile handicap and Kevin Stott rode. The ground at the start of the day was good good/firm in places but persistent rain had changed the going to good/soft for the first race and then soft for the following races. There where several non runners in Maisey’s race and after a long discussion we let Maisey take her chance, but told the jockey to do his best on her but if it was clear she was hating the ground not to be hard on her. Maisey was in a tucked in the back third of the field and was travelling ok. Entering the straight Kevin maneuvered Maisey out for a run and she found a little for his urgings but the leaders had had a good break and whereby Maisey usually picks up on decent ground she had no acceleration in the sloppy conditions and she finished 7th. 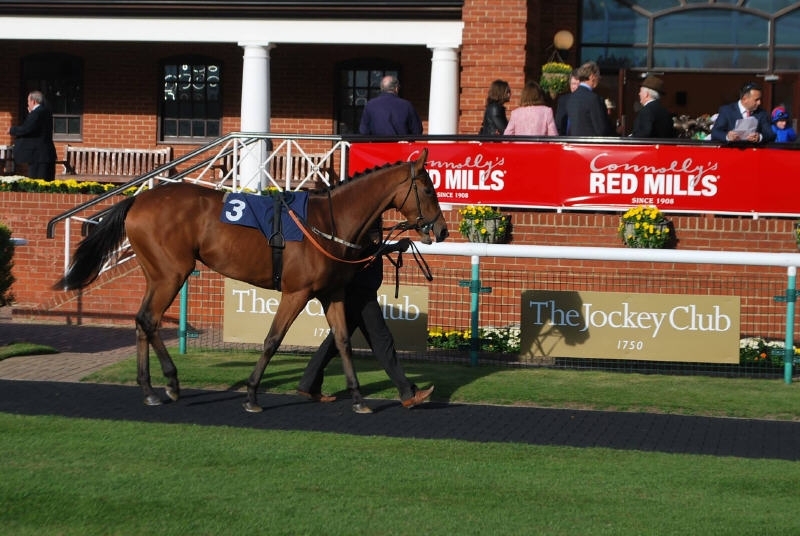 Ticking Katie ran at Doncaster on Thursday at Doncaster in the 6 ½ furlong fillies handicap which had been the plan for some time and was televised live on Channel 4 Racing. Joey Haynes took off 5 pounds and from the start Joey bounced Katie out and she was soon in front. She was travelling in the centre of the course and was rally enjoying herself and leading the competitive field a merry dance. Around 2 furlongs from home Joey kicked again and Katie responded and then went 2 lengths clear. Many of the other runners where struggling and Katie was going great guns. Inside the final furlong another horse appeared up the nearside rail and was finishing strongly, just 50 yards from home Katie was joined but whether she was able to see the other horse being so far apart was overtaken and although she responded it was to late and she finished 2nd beaten just over a length with her being well clear of the 3rd horse. A fantastic effort from Katie who has not been out of the first two places since her debut and has improved with every run, great prize money picked up by her owners, who had a fantastic day. 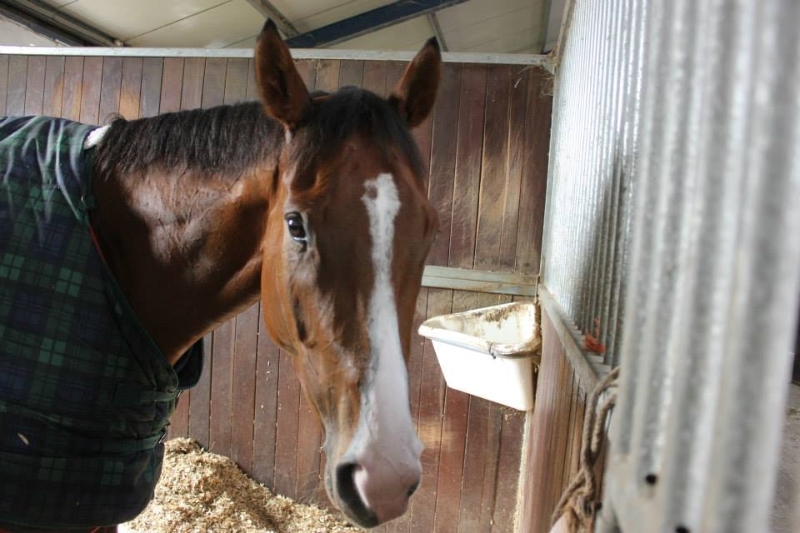 Yourartisonfire ran at Sandown on Friday in the one mile 0-90 handicap and Chris Catlin rode. The ground had turned to soft by the time of his race and from the stalls Yourartisonfire was very keen and the jockey had trouble settling him into any kind of rhythm. Rounding the home turn Yourartisonfire was in the back third of the field and was still racing keenly. The field came across to the near side which they usually do on soft ground at Sandown and Yourartisonfire was rather stuck in the middle of the course. He tried to make some headway but his early exertions and the very soft ground appeared to take its toll and he could never get competitive. He eventually finished near the rear of the field. 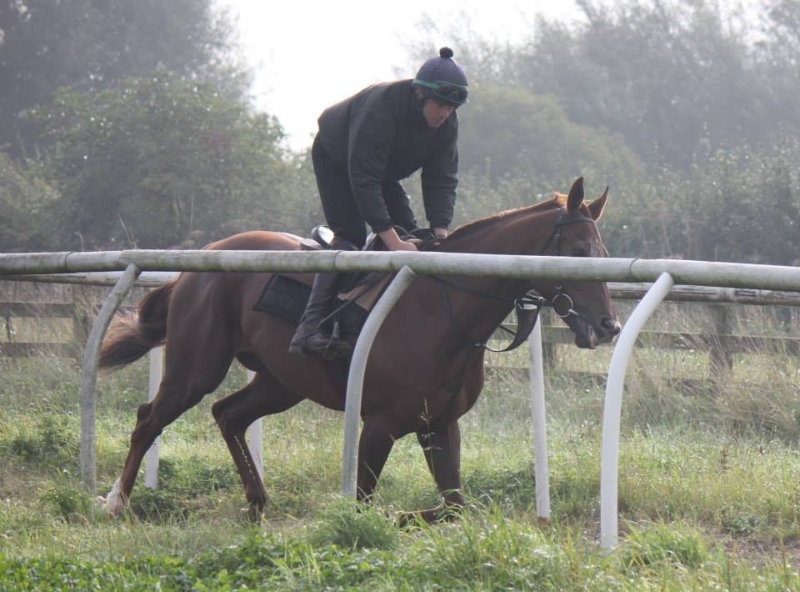 Ticking Katie lined up in the Class 2 Fillies Nursery over 6 & 1/2 furlongs today at Doncaster. Joey Haynes who claims 5lb was aboard the Karl Burke trained filly for this ultra-competitive sprint. 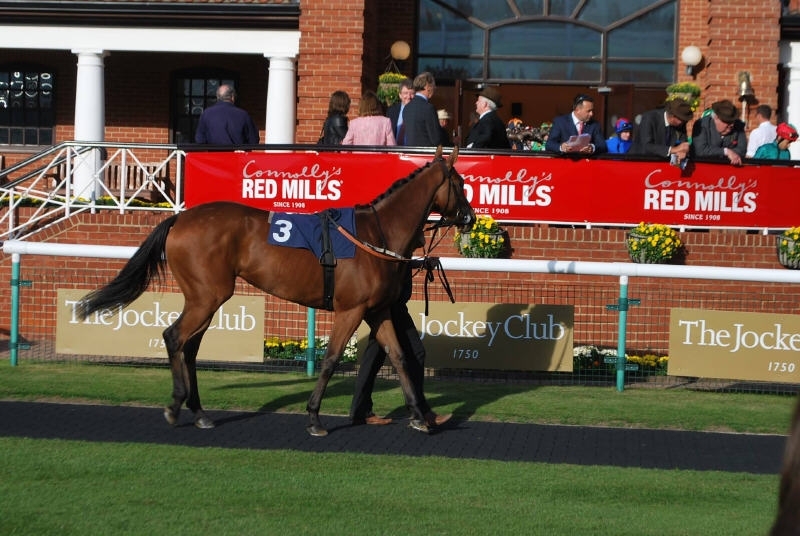 Katies form read 1-2-2 going into the race and we were hopeful that she would make her presence felt in one of the best fillies nurseries of the year. Drawn in stall 2, she broke smartly and Joey was keen to set the pace and make it a real test. 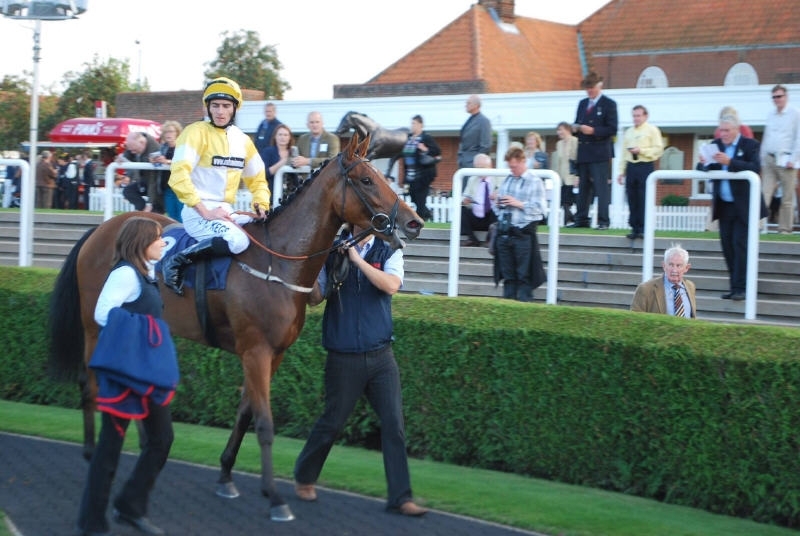 This was an excellent performance from all involved, she is a proper little star and is as tough as old boots, her owners and everyone at OnToAWinner are very proud of her. 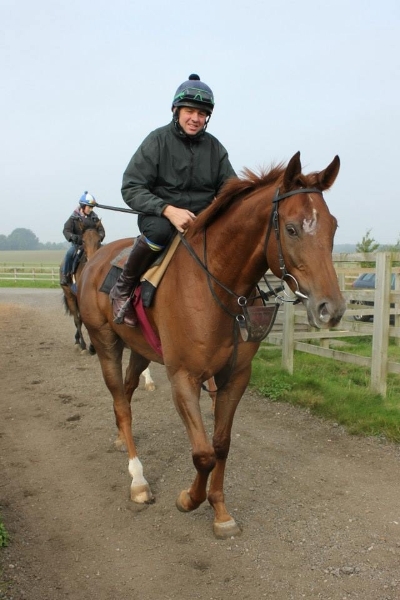 Ted’s Brother ran at Hamilton on Monday in the one mile 0-75 handicap and Philip Prince rode, unfortunately the predicted rain did not arrive but Richard allowed Ted’s Brother to take his chance. Ted broke well and Philip tucked him into third place behind the pace setting leaders. The race was only ordinary and Ted was pulling a bit. The race positions did not change and as the field reached the 3 furlong pole the pace quickened and in races where there is little pace its best to be near the front. The two horses in front of Ted and managed to get a little break from him but Philip was getting Ted into contention and he closed entering the final furlong but the two leaders had a sufficient advantage and the ground not helping Ted he finished a gallant 3rd. 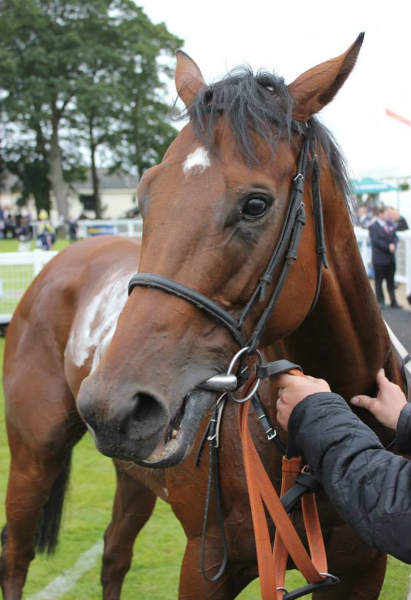 Ailsa Craig ran at Haydock on Thursday in the 1 mile 4 furlong 0-70 handicap for gentleman amateur riders with Philip Dennis taking the ride in only his third ever ride in public. The plan was to sit behind the pace and to make ground and headway up the home straight and try and produce her inside the final furlong just as they had been atNewcastlethe week before. Unusually for amateur races the pace was steady and Phil was able to get Ailsa into third pace and tracked the two horses in front. R8oundiung the turn into the straight the leader had pushed on but Phil did not panic and kept Ailsa in a nice rhythm. 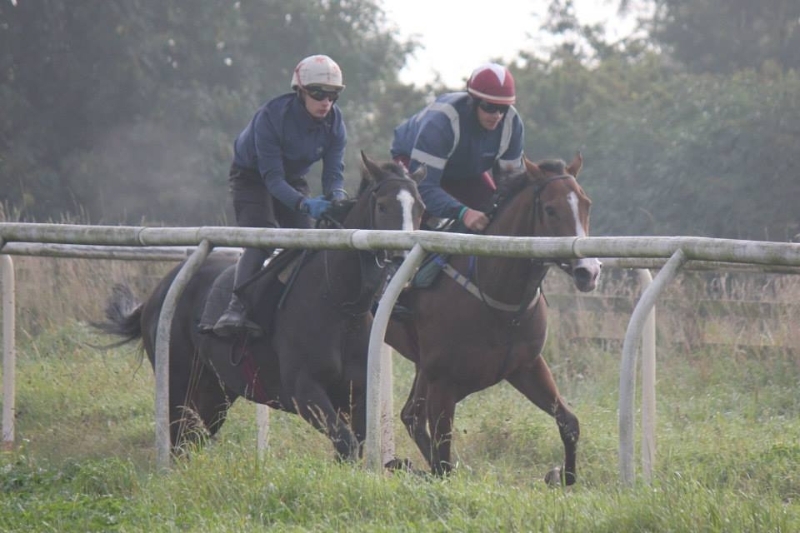 Around 2 furlongs from home most of the field where pushed along by their jockeys but Ailsa seemed to be going nicely. Phil again kept composed and with Edwin’s instructions ringing in his rears waited until inside the final furlong before he took up the running. For a few strides it looked like Ailsa was going to get into a battle for the win, but she quickened nicely and Phil pushed her clear, winning by 6 lengths. A fantastic result, Ailsa’s second win for the year and Phil’s first ever winner in public. 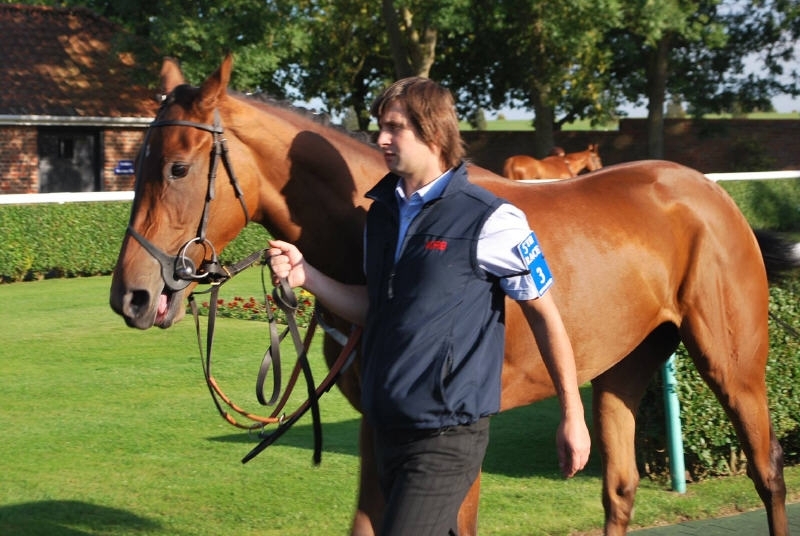 Burnhope ran at Thirsk in the 0-80 6 furlong handicap. This looked a very competitive handicap and Burnhope looked to of been no favours by the draw in stall 1. 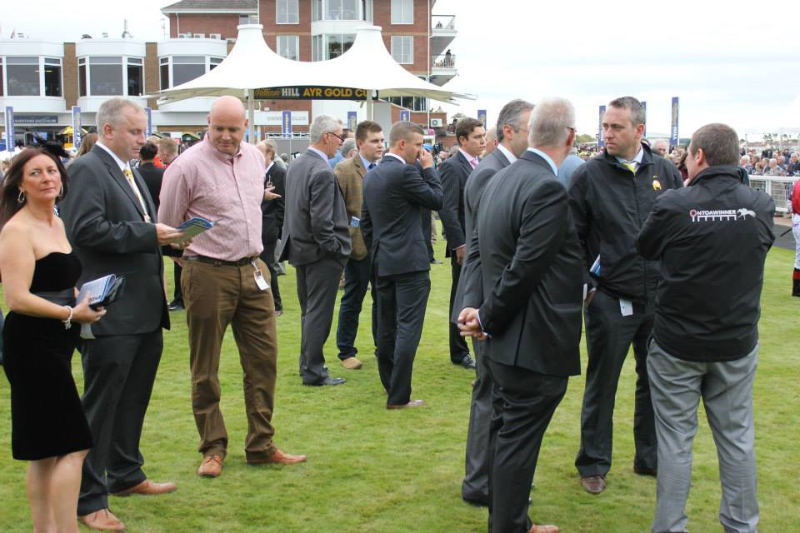 (seems to be a common theme at Thirsk bad draws all year !) Billy Cray rode and took three pounds off. From the stalls Billy pushed Burnhope forward and they made their way across to the stand side rail. Using up some effort, he managed to get one place off that favoured rail. 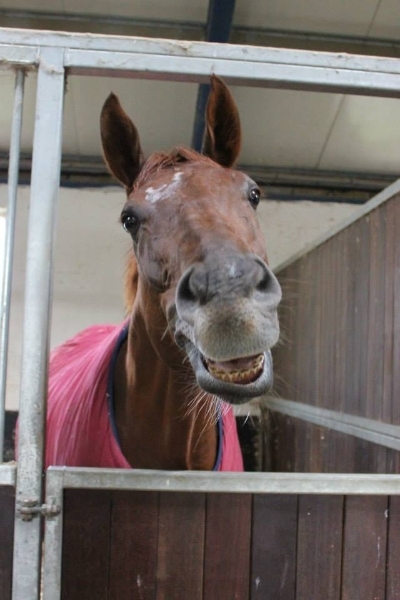 Burnhope was racing enthusiastically in the front three all the way until inside the final 2 furlongs when he started to get tired after his break and the effort he used in the early part of the race. Billy was not hard on the horse and he allowed him to come home in hi sown time. Hopefully this run will bring him on and he will be fitter next time. 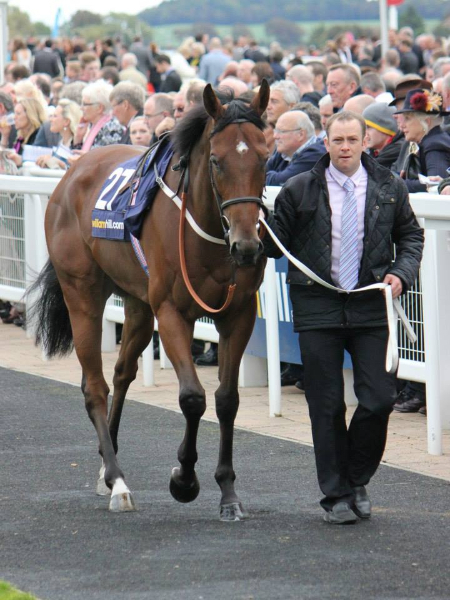 Ailsa Craig ran in the 1m 4f class handicap today at Haydock. The race was for Amateur Riders only and Phillip Dennis took the ride aboard the Edwin Tuer trained mare. 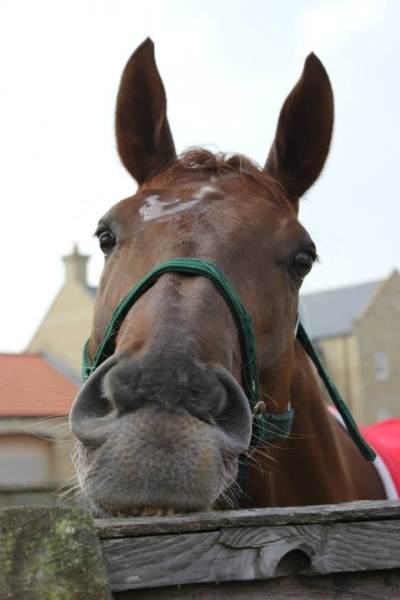 In recent runs, Ailsa had bounced right back to form with a win and a place in her last 2 races. Ailsa broke nicely from the stalls and Phillip got her into a good position, travelling in 3rd place for the majority of the race. They seemed to go a good gallop up font and as the rounded the bend, 4 furlongs out on the turn for home, the front 3 stretched 4 lengths clear of the field with Ailsa travelling sweetly in 3rd position. At the 2 furlong marker, Phillip asked Ailsa to improve and she did and by the furlong marker she had gone into the lead and went on to score by 6 lengths. 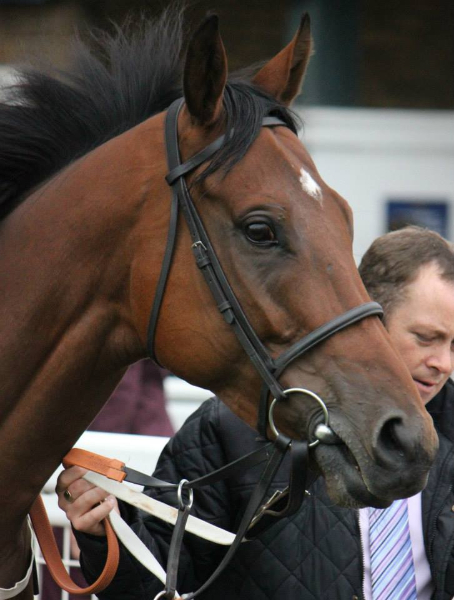 This is more like the Ailsa of old and hopefully the handicapper isn’t too hard on her for her recent success. 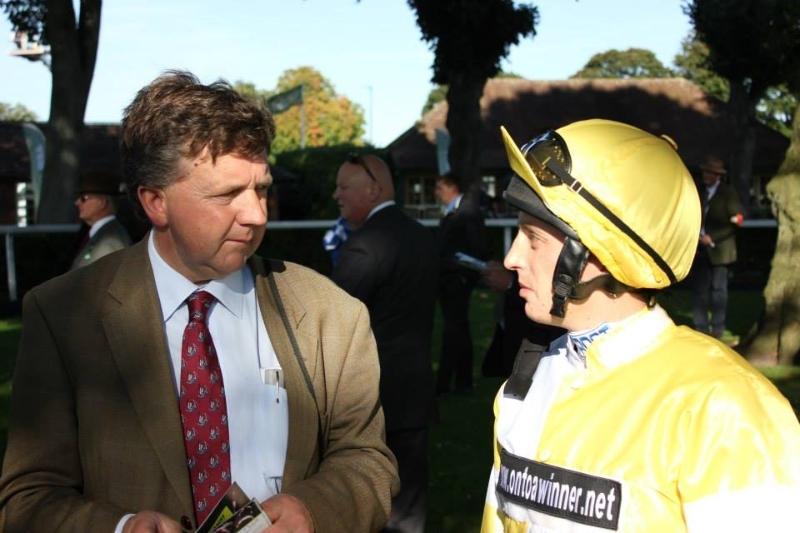 A big well done to Phillip Dennis who rode his 1st winner under rules and a big well done to team Tuer for excellent work in getting her back to her best. 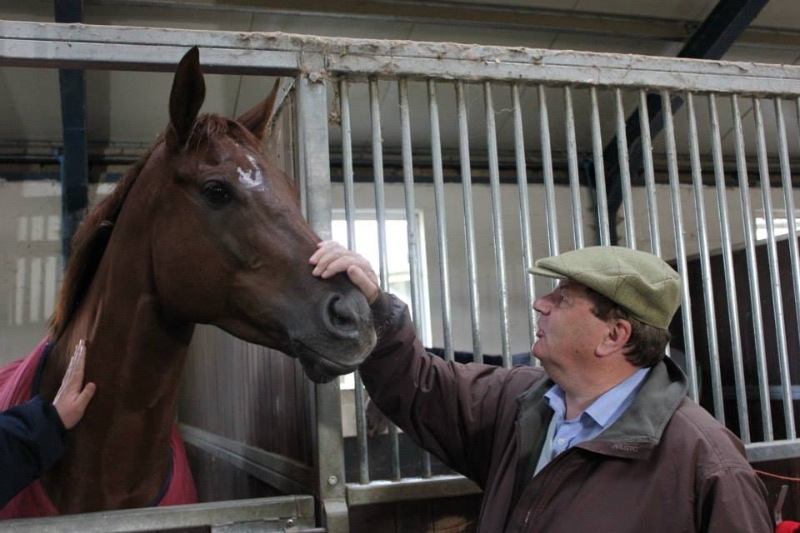 Edwin has the midas touch when it comes to mares. That’s 14 winners for 2013. 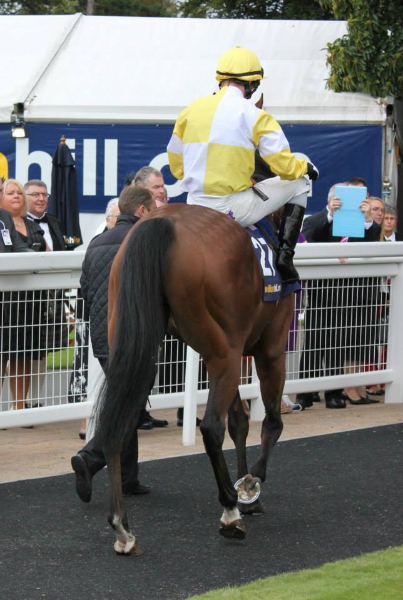 Ailsa Craig ran at Newcastle on Monday in the 1 mile 4 furlong 0-65 handicap with Kevin Stott taking the ride. The plan was to sit behind the pace and to make ground and headway up the home straight and try and produce her inside the final furlong. Kevin took the blindfold off quicker this time and settled the horse in midfield against the rail for much of the race until around 3 furlongs from home when he switched Ailsa off the rail and begun to make headway through the field. 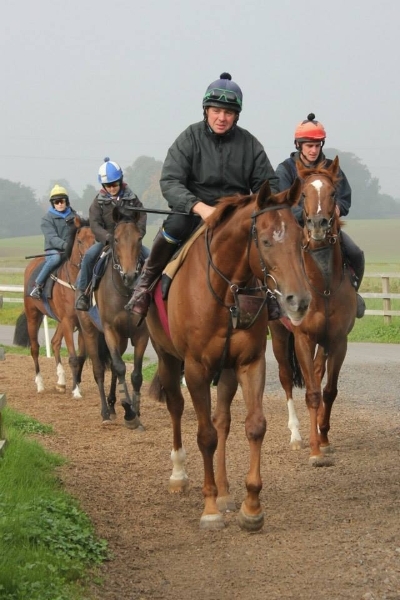 At the furlong pole Kevin produced Ailsa in between two other horses and the race was between these three horses. It was nick & tuck inside the final furlong with the eventually winner just edging across Ailsa who stayed on all the way to the line finishing a gallant 3rd beaten just over a length. A good run and pleasing to see her keep her form. 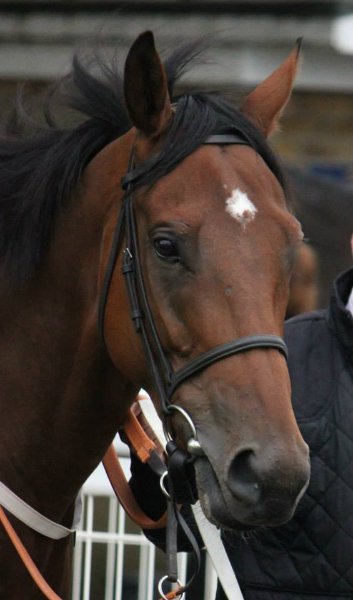 Sygnature ran at Southwell on Wednesday in the 1 mile 4 furlong 0-55 handicap with Neil Callan rode. From the stalls Neil tried to get Sygnature into a prominent position but it was clear Neil had to work hard and push the horse along. Neil managed to get Sygnature into third place and followed the two leaders. Down the back straight Neil was continually pushing the horse that appeared to be racing lazily. Rounding the home turn Sygnature was overtaken by a few other horses and up the long home straight Neil accepted the situation and allowed the horse to come home in his own time. It was the horses first run for 6 months. 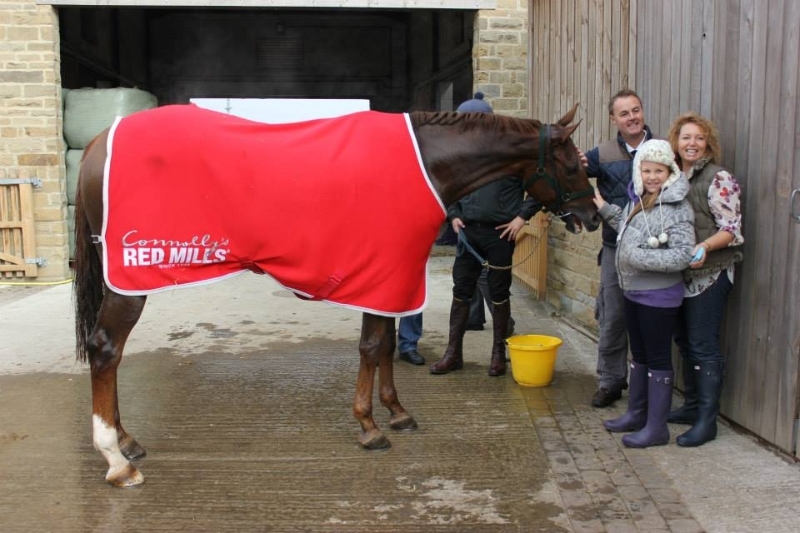 Piceno on Wednesday ran in the 0-75 handicap at Southwell and Billy Cray rode. Breaking from the stalls Piceno was overtaken on his outside by another horse and Billy settled Piceno in behind the early leader. Howe haver this horse was manoeuvred to the outside and Piceno took up the running. Into the home straight it was clear that Piceno had many of his rivals in trouble. The only horse to come and challenge him was another Southwell specialist, Piceno and this horse begun to have a battle for the win. Piceno was giving everything and at several points looked to be getting on top, howe haver just inside the last 100 yards the other horse went on and Piceno had to settle for a brave 2nd place well clear of the third horse. 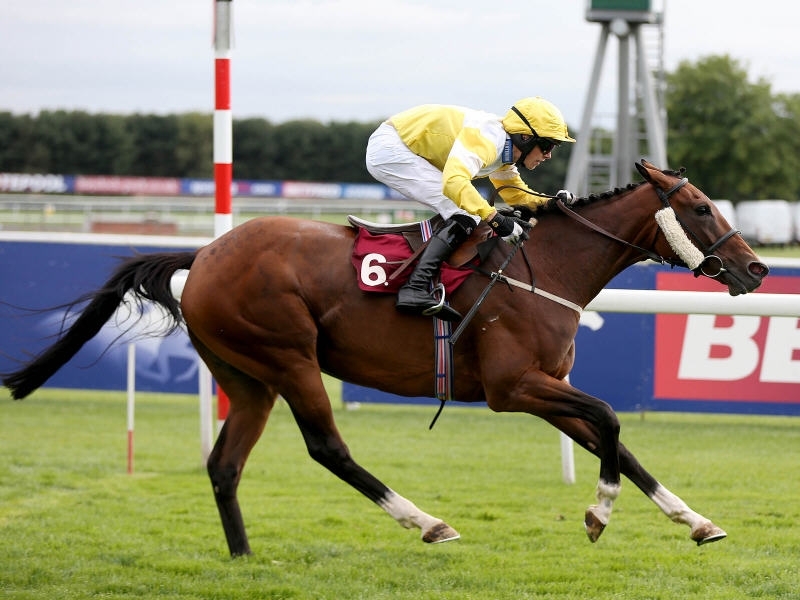 Piceno was already entered at Chester and after keeping a close eye on the horse Scott allowed Piceno to run at Chester on Friday in the gentleman’s handicap over 7 ½ furlongs. He was ridden by Kevin Locking. From the stalls the horse on Piceno’s outside came across him and Piceno was slightly hampered and had to be settled in midfield. As ever there was a strong pace and the jockey got Piceno into a nice rhythm. Piceno seemed to be enjoying the tight turns and gradually made headway and rounding the home turn he had moved into third place and was taking aim at the leader. Kevin gave the horse a crack with the whip which he responded to and drew alongside the leader. Kevin then pushed Piceno in front and with the field closing he made it to the line winning by just over a length. A great training performance by Scott and Kevin’s first ever winner. Well done to all connections, a thoroughly deserved win for this consistent horse. 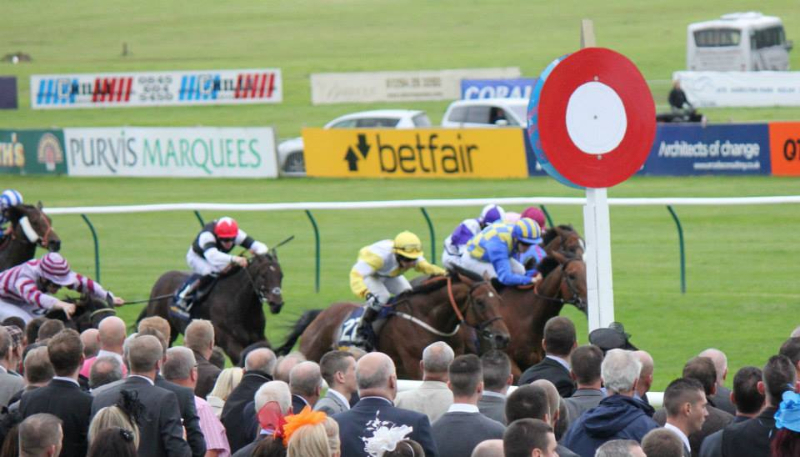 Blue Maisey ran fifteen minutes later at Thirsk in the 0-80 7 furlong handicap. This looked a very competitive handicap and Maisey unfortunately had another nightmare draw in stall 14. Kevin Stott rode again. From the stalls Kevin took a pull on Maisey and took her to the inside rather than staying on the wide outside. This meant rounding the turn for home she was in last position. Up the home straight Maisey begun to make some progress and two furlongs out Kevin took Maisey to the outside and she responded by beginning to make headway. At the furlong pole Maisey was still in 8th place but she put her head down and begun to make rapid headway. Closing all the way to the line she managed to get up for 3rd place never being able to get to the winner who had managed to nick an unassailable lead. A fantastic effort from Maisey to get so close to winning from a bad draw. 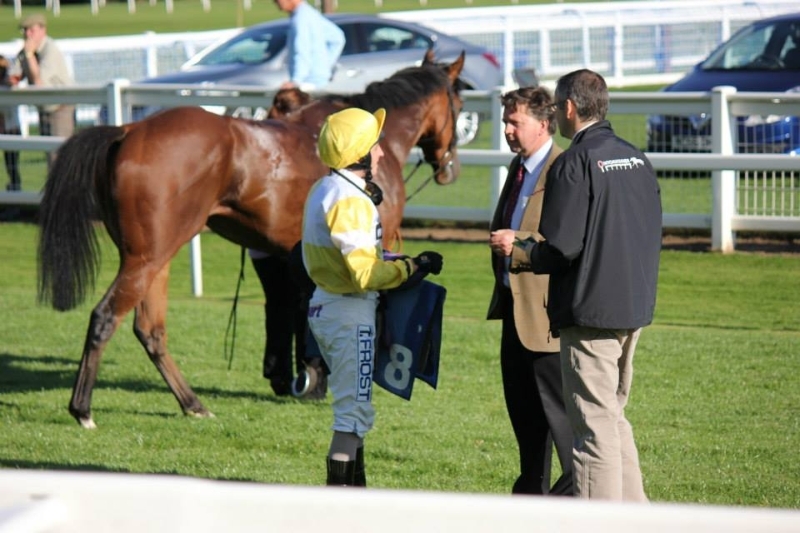 A great fifteen minutes for all connected with these two horses and everyone involved with Ontoawinner.